After careful analysis of the construction plan and the lifts needed, Mammoet concluded that the most efficient approach would be to place one crane capable of performing all lifts from a single location. This would require a crane with sufficient reach- over 160 meters – and lifting capacity – almost 500 metric tons. 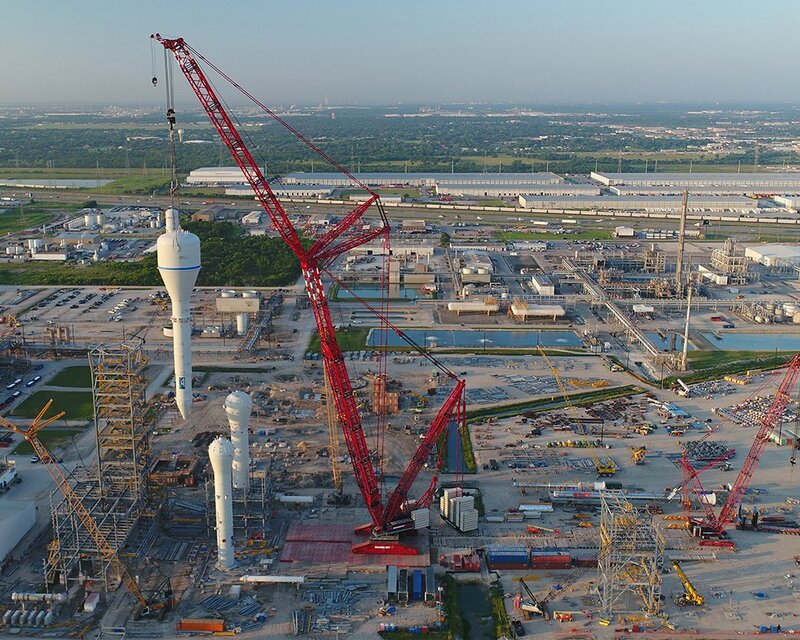 Mammoet’s LR13000 was the right crane for this and put to the task. After the first round of lifts were completed in July, Mammoet reconfigured the LR13000 with a luffer jib to execute a further 16 lifts, ranging from 38.5 to 482 tons. The crane was configured with a tall 96 meters of mainboom and 72 meters of luffing jib. The heaviest component, a Purge Bin, was lifted from saddle supports with tailing help from Mammoet’s CC2800, carefully swung around 180 degrees and ultimately lifted into an existing housing structure within a three hour time window. 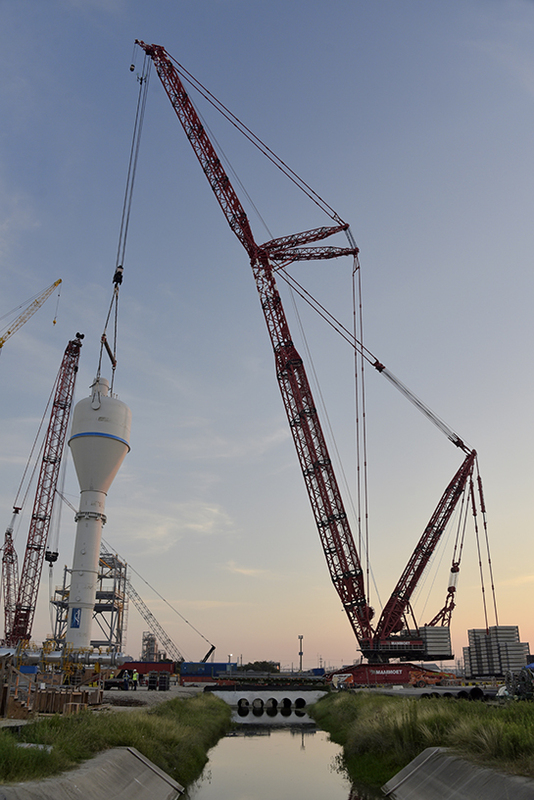 During several of the lifts, the total crane radius was nearly 129 meters.